For our first foray into flat pedals we went big. The Stomp is a fully extruded and CNC-machined manifestation of what we believe to be the ultimate off-road pedal. If you’re just looking for the basics, click on over to our product page here. For the flat pedal connoisseurs in the crowd, read on. Visit any online mountain biking forum and you’ll encounter a “lively” debate centered around flat-profile pedals vs concave shapes. From our experience and testing of other pedals on the market, we determined that the concave shape yielded the greatest security and traction—and led to the best pedal “feel.” Thin-pedal lovers tend to tout the benefits of the lower center of gravity and added clearance for obstacles, both valid, but those often come at the expense of traction and/or durability. The thin design is made possible by truncated spindles with oversized bearings, which leads to a bump in the pedal that can lead to a hot-spot on extended ride days. 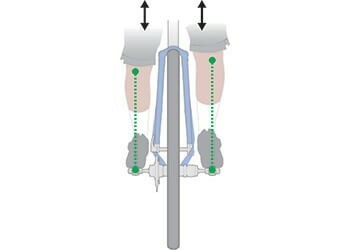 The concave shape also helps in orienting and locating foot placement relative to the pedal, critical for rider confidence when the terrain gets sketchy. We wanted to boost the benefits of the concave shape with easily customizable pin placement. 11 pins per side can be height-adjusted, flipped, or removed per rider preference. Head-side-up pins measure 4.5mm in height, while those fully threaded in from the underside measure 5.5mm in height. When combined with the concave shape of the pedal body, this means the effective difference from the top of the tallest pin to the center of the pedal body is 7.5mm. The Stomp XL is made for big feet (size 9 and up), so our outside pin-to-crankarm measurement is among the biggest among flat pedals currently on the market (113.5mm), ensuring that even those with sasquatch-sized feet get good pin contact. Our effective pedal length, from the front-most pin to the heel pin measures 102mm. 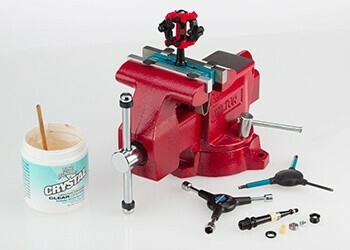 A full-length spindle and a pair of outboard sealed cartridge bearings give the Stomp the strength to withstand downhill level punishment. 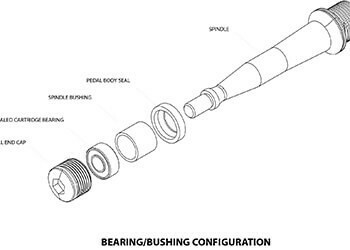 We also offer spindle rebuild kits so pedals can easily be serviced and maintained. This combination makes the Stomp a bullet-proof badass. And we hope that it becomes your preferred weapon of choice on your next trail attack. Shop the iSSi Stomp here. 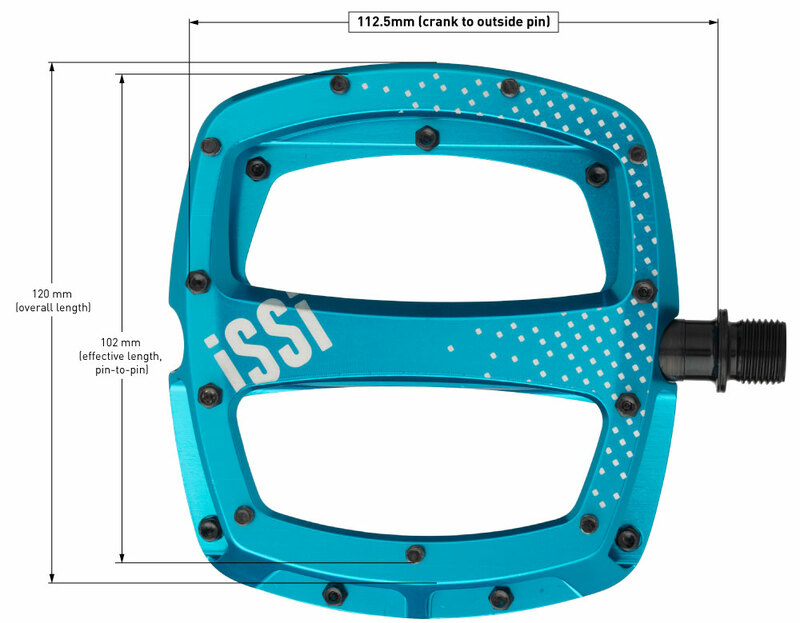 iSSi Pedal Spindles Explained: What’s the Difference?